A psychotherapist listens as her patient dreams of a better life in a land of lumberjacks and coastal breezes, and reflects on how the state feels like a refuge to so many, including herself. As car horns bellow outside the window, just after 9 a.m., Sophie* sits across from me on an avocado-hued couch in my psychotherapy office in Manhattan, trying to connect. She recounts another vexing date with a near stranger, a night that ended awkwardly at her local Brooklyn bar. Still slightly hungover, she is clear that her social situation, more than the drinks she consumed, is the culprit behind her head spins. It’s not her psychology, she insists. It’s not her; it’s here. Deflated and isolated, Sophie languishes in the feeling that she is wholly responsible for herself. She prepares her own meals and eats them solo more often than not. She routinely scrambles to find companionship before her workday draws to a close, so that her nights won’t feel empty. We sink into her feeling of loneliness. Moments later, in the silence between us, her face brightens. “I wonder where that bearded Mainer is now,” she pipes up. She’d gone to a College of the Atlantic “writers and hikers” holiday in Bar Harbor last summer, and while there, locked eyes with a man with two young kids and no partner in sight on a boat trip. He has become a touchstone in her imagination, a symbol of a robust land and friendly people. Sophie is not alone; it sometimes seems Maine has become a sort of refuge in our country’s collective imagination. “Maybe I should just go, and find my lumberjack,” she proposes, only half joking. This time, she imagines an escape lasting more than a week. She would chuck the rent that threatens to swallow her paycheck whole, uproot her life and relocate to this coastal community in search of a cool breeze and familiar faces. My mind flashes to the dark afternoons of winter and the homogenous whiteness that blends into the mountains of snow, but I refrain from disrupting her idealized view of daily living in the state I come from. 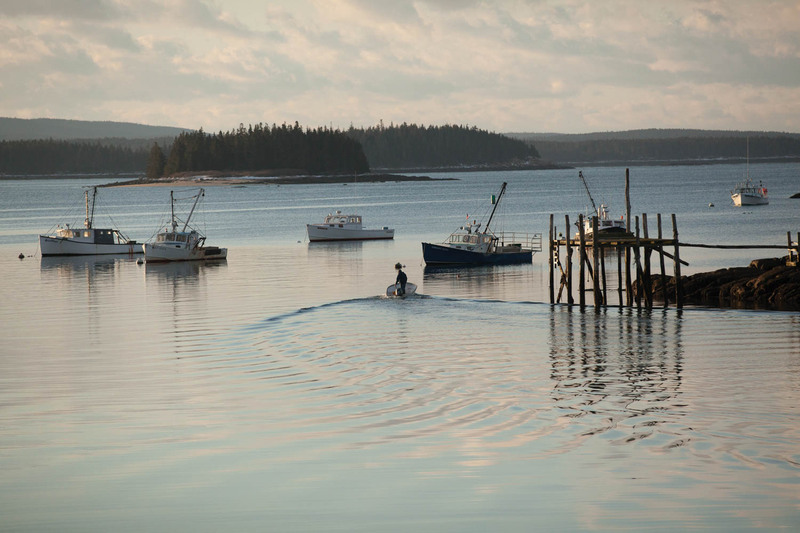 For one thing, Sophie’s reveries of Maine, oriented towards the wish for connection as they are, mark therapeutic progress. Previously, her go-to jolts had a self-demeaning quality, involving endless aesthetic makeovers—juice cleanses, punitive nutritionists and hard-core fitness trainers. All of these “self-improvement” pursuits worked for her on one level. They conferred a feeling of caring for herself and of being cared for by the experts she hired. But her efforts to tamper with her appetite and discipline her body also reinforced her deep-rooted view of herself as flawed, fundamentally unworthy of love and attention. I’m skeptical of Sophie’s fantasy about a geographic cure, but I’m also intrigued at the possibility of shifting one’s landscape as a catapult for internal change. After all, my Maine roots were originally planted when my own parents fled their racist-imbued Southern Baptist upbringing to settle in what their families considered to be polar—and foreign—conditions, when they both scored academic jobs at the University of Maine in Orono. They had to leave what they knew to discover themselves, as the family lore goes. Able to afford modest comforts and long summers, thanks to their academic schedules, we spent temperate months during my childhood swimming and fishing from the base of an A-frame camp they built without running water or electricity on Ebeemee Lake near Brownville. Traversing the state in a camper, they enjoyed a kind of freedom that I too felt as a child, zooming around Little City, Bangor, on a Big Wheel, with a solid sense of security and community. It was not all idyllic, gentle living, at least not for everyone. When I was 12, in 1984, 23-year-old Charlie Howard, walking with a male companion in downtown Bangor, was harassed and thrown from a bridge into the Kenduskeag Stream; he drowned. EqualityMaine was born out of this hate crime and galvanized hard-won initiatives for gay rights, which have evolved alongside the now-famous restaurant scene, local food movement and thriving arts programs throughout the state. As a member of the Maine House of Representatives for three terms, my mother lobbied for the recognition of and reparations for Wabanaki people, co-sponsoring a law that requires Maine’s native history and culture be taught in public schools. Now Maine is on our country’s frontline in the struggle for transgender equality, thanks largely to strategic grassroots activism and the resilience of a transgender teenager named Nicole Maines, who successfully fought, with her family beside her, for her right to use the school bathroom that suited her gender identity. This transformation from within is all good for Maine. It also heightens the fantasy for people like Sophie, in search of an external salve. The concept of starting anew is a ubiquitous preoccupation in New York City, at least for most of the city’s residents who rent rather than own; they live in state of housing discontent. It happened to me as I approached turning 40. I’d moved eight times in my son’s first eight years, and before I unpacked in my latest dwelling, my mother had a stroke. Hurricane Sandy was bearing down. I felt the thrust of doors—and life passages—slamming shut all around me. I traveled each week to Maine for three painstaking months, as my mother lay in a hospital, unable to eat, speak, walk or communicate with words. In the wake of her death, as if to affirm life itself, my sisters and I each began plotting house projects in the vicinity of Acadia National Park, where my parents had retired. Somehow pouring over architectural plans and scavenging for the perfect 80-year-old, 200-pound porcelain sink in a basement in Brooklyn helped me feel generative. Without my mother, we were all investing, doubling down, on the place that had been home. Now, as Sophie envisions a move to Maine, her desire for community is paramount. 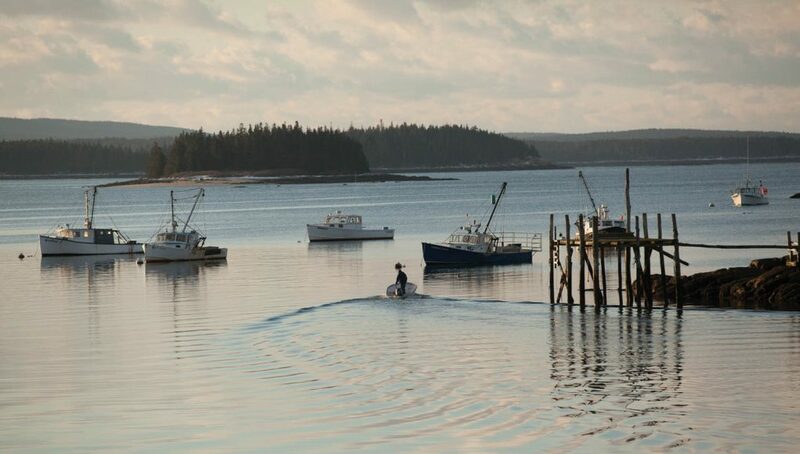 For dreamers terrified about our changing environment, in search of clean air and less bustle, Maine has a special allure. The fantasy of open space alone inspires possibilities for personal renewal. Like Sophie, I hold onto the wish of being transformed, of letting go of existential angst. When I cross the Maine state line, after five hours in the car and with four still to go, my body instantly relaxes with the scent of pine trees. As anyone who has ever spent a winter in Maine can appreciate, however, being in quietude requires a certain level of internal calm. Whether or not she makes the leap, I remind Sophie that Maine, this paradise she dreams of, is more than a place. Just as social ills like racism are not only out there, but in each of us, Maine is a state of mind. I hope she finds it. I know I have. *Identifying information has been altered to protect confidentiality. Catherine Baker-Pitts, PhD, is a psychotherapist in Manhattan. She grew up in Maine in a family of four sisters and spends as much time as she can in her house in Southwest Harbor.